Kimia Moradi, who was born on 1996 and the youngest chess champion in Iran, has requested for political asylum in Norway after the Iranian government prohibited Moradi from perusing her career in the country. Moradi is accused of having ‘immoral’ and ‘illicit affair with a boy’. The government of Islamic Republic jailed her for a few days but Kimia’s father helped his daughter to get released from Iran’s jail. She has left the country on last month because of the high social and political pressures from government and ethical division of police. The young chess player has won several titles in international and domestic competitions but the recent conditions stopped her from playing chess in national level. 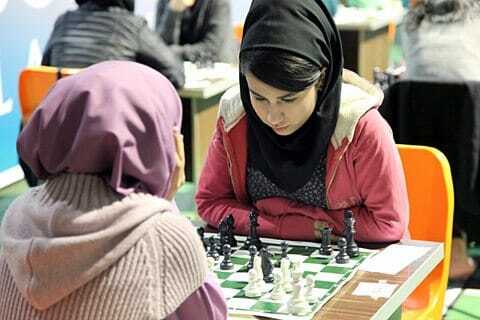 The authorities of Iran’s Chess Federation also didn’t pay attention and tribute to her and have made Kimia desperate about her future in homeland. With the excuse of a holiday Kimia was able to flee to Norway where she applied for asylum. Mohammad Mostafaei, a famous Iranian lawyer who works on human rights topics, has confirmed the reports. It’s good to know that in recent years there have been more and more people who have left the country seeking political asylum abroad because their critical voices of the regime were not tolerated.